RSS/Atom newsreader with podcast support. Is there a better alternative to Postino? Is Postino really the best app in Newsreaders category? Will Postino work good on macOS 10.13.4? Postino is an RSS reader with audio and video podcast support. 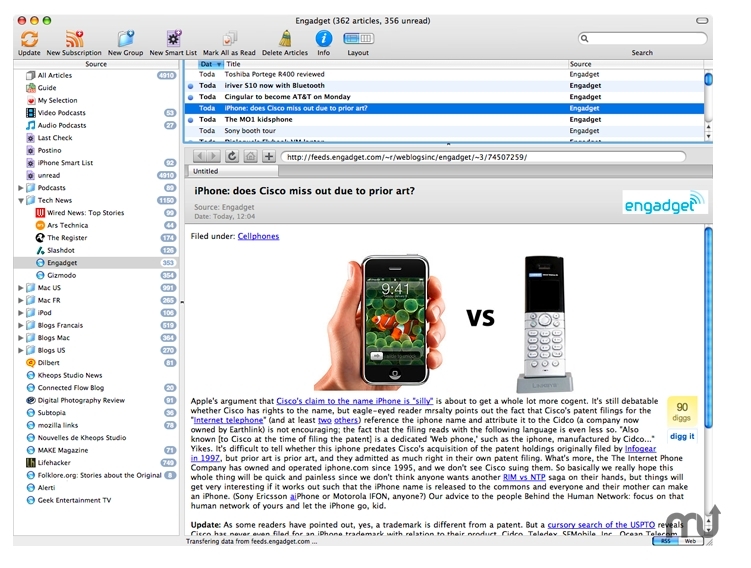 Postino is software that makes it easy to read and organize articles, audio and video programs and podcasts. You don't need anymore to visit your favorites sites hundreds of times a day, Postino will get you the new articles automatically. Podcasts are radio- and TV-style shows you can download from the Internet. You just need to subscribe to podcasts, for free, and new episodes are automatically downloaded on your computer as they become available so that you can play them when you're not connected to the Internet. Mac OS X 10.4 or later, and Quicktime 7. Postino needs a rating. Be the first to rate this app and get the discussion started!